It doesn't matter where you are in Marietta Georgia, we will come directly to your site. We make iPad 2 glass fixes easier for you with our mobile to site pick up and delivery services. If you are located anywhere else in the United States, you can conveniently package and ship your media to our location. We understand that your time is valuable and it is critical that you have access to your iPad 2 and it's content. We respond urgently to any iPad 2 or Macbook Pro or Macbook Air computer repair need. We can pickup and deliver any where you wish. All Apple devices and accessories will be handled in an professional, confidential and efficient manner to help you when you need your iPad 2 most. The 1st step in dealing with repairing your iPad 2 glass is the most critical and will determine how fast your glass fix will take. To keep time and money to a minimum, contact 404 Computer Repair Services immediately and leave your glass fix incident in the hands of trusted Apple professionals. For models A1395 A1396 and A1397. The iPad 2 was introduced on March 2, 2011 and discontinued on March 18, 2014. The A1395 has an 9 inch LCD digitizer glass display Glass, and has internal wi-fi capabilities. Internal logicboard or motherboard capacity of 16GB, 32 GB or 64 GB depending which model you choose at the time of purchase. Battery expectant life is about 10 hours of usage. The iPad model A1395 EMC 2415, order number is MC769LL/A and belongs to the iPad 2 family with an identifier of iPad2,1. The iPad 2 was introduced on March 2, 2011 and discontinued on March 18, 2014. The A1395 has an 9 inch LCD digitizer glass display Glass, and has internal wi-fi and GSM capabilities on At&t network. Internal logicboard or motherboard capacity of 16 GB, 32 GB or 64 GB depending which model you choose at the time of purchase. Battery expectant life is about 9 to 10 hours of usage. The iPad model A1395 EMC 2416, Order number is MC773LL/A and belongs to the iPad 2 family with an identifier of iPad2,2. The iPad 2 was introduced on March 2, 2011 and discontinued on March 18, 2014. The A1395 has an 9 inch LCD digitizer glass display Glass, and has internal wi-fi and CDMA capabilities on the Verizon network. Internal logicboard or motherboard capacity of 16 GB, 32 GB or 64 GB depending which model you choose at the time of purchase. Battery expectant life is about 9 to 10 hours of usage. The iPad model A1395 EMC 2424, Order number is MC755LL/A and belongs to the iPad 2 family with an identifier of iPad2,3. 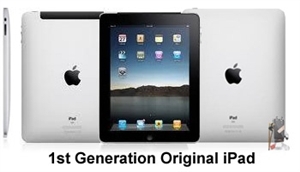 The iPad 2 was introduced on March 25, 2012 and discontinued on March 18, 2014. The A1395 has an 9 inch LCD digitizer glass display Glass, and has internal wi-fi capabilities. Internal logicboard or motherboard capacity of 16GB, 32 GB or 64 GB depending which model you choose at the time of purchase. Battery expectant life is about 10 hours of usage. The iPad model A1395 3rd generation EMC 2560, Order number is MC769LL/A and belongs to the iPad 2 3rd generation family with an identifier of iPad2,4. Here at 404 Computer Repair, we make iPad 2 Glass Repair in Marietta fast and convienient. If you live, shop or if you are simply passing through Marietta we can perform tablet repair while your wait. We are located immediately next door to the Dairy Queen at 360 Cobb Parkway South, Marietta, Georgia, 30060. We maintain a warehouse stock full of iPad 2 parts and iPad 2 accessories. We make iPad 2 glass repair services easier for you to attain, with our mobile to site iPad 2 pick up and delivery services.